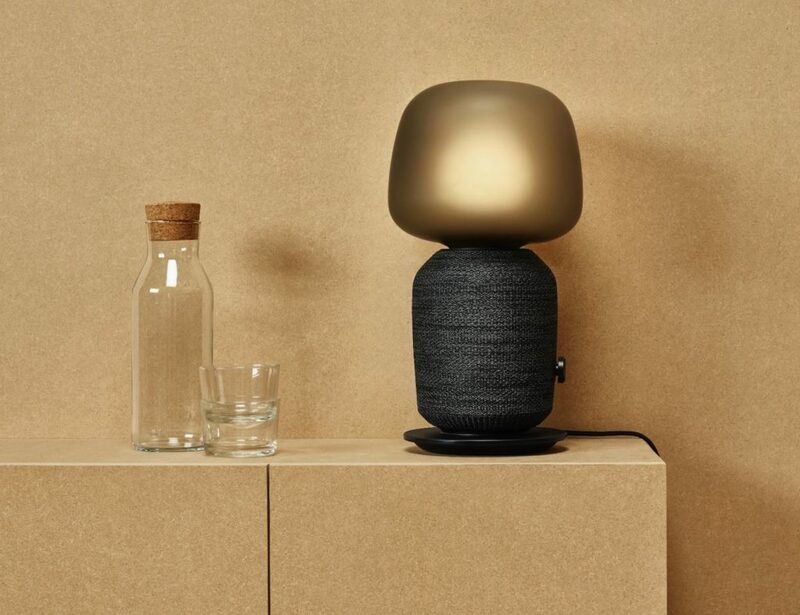 While catering to the aesthetic of Apple fans, Satechi carved their niche in the tech world by combining simple solutions with stunning design. 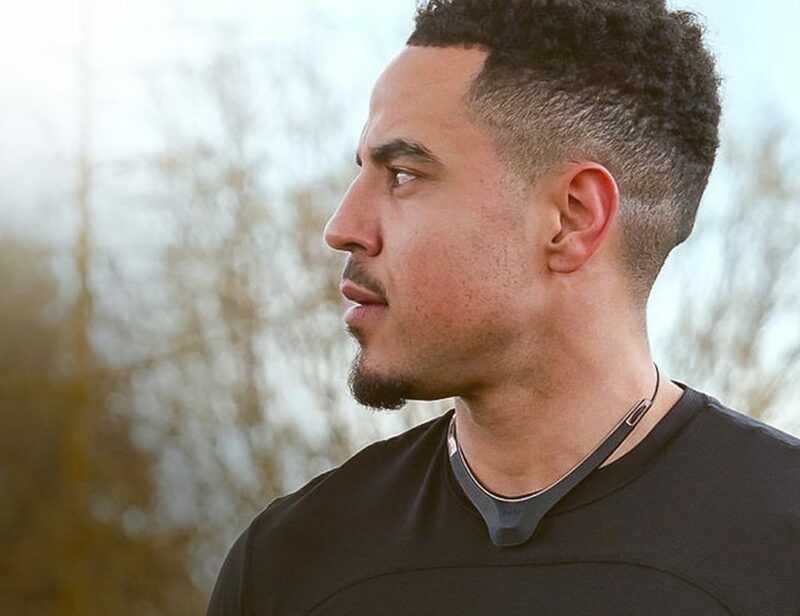 They keep you connected and stylish while giving you every convenience. 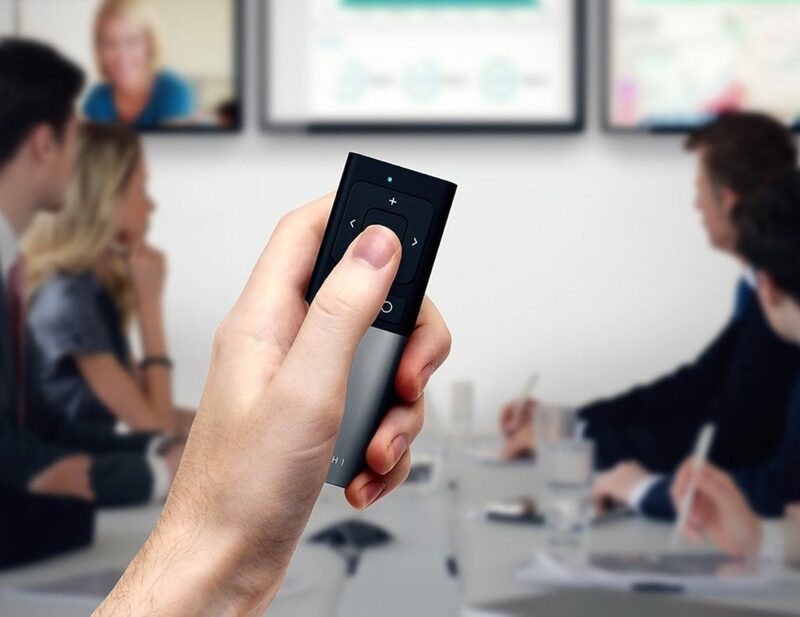 Control all of your devices around you with the Satechi Wireless Multimedia Remote. Sleek and easy to use, this remote is compatible with any and every Bluetooth-enabled device you own. 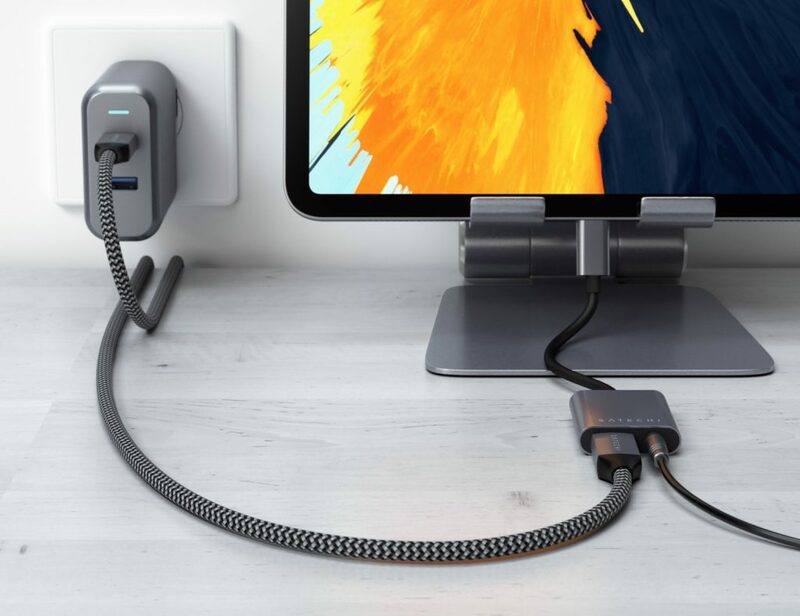 Whether it’s a PC, MacBook, or even your entertainment system,..
Conveniently charge your devices at the same time with the Satechi Type-C 75W Multiport Travel Charger. Using the travel charger, you can charge up to four devices at a time. Aside from a USB-C port, the charger also comes with.. It provides a full numerical keypad and QWERTY keyboard. Charge your device and listen to audio at the same time with the Satechi Aluminum Type-C Headphone Jack Adapter. 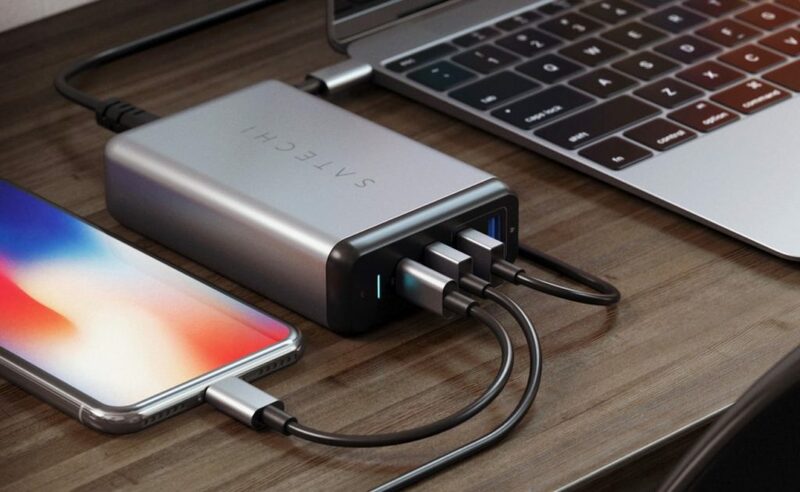 An ideal mobile companion, this device comes with USB-C Power Delivery. Likewise, the Aluminum Type-C Headphone Jack Adapter offers charging and.. 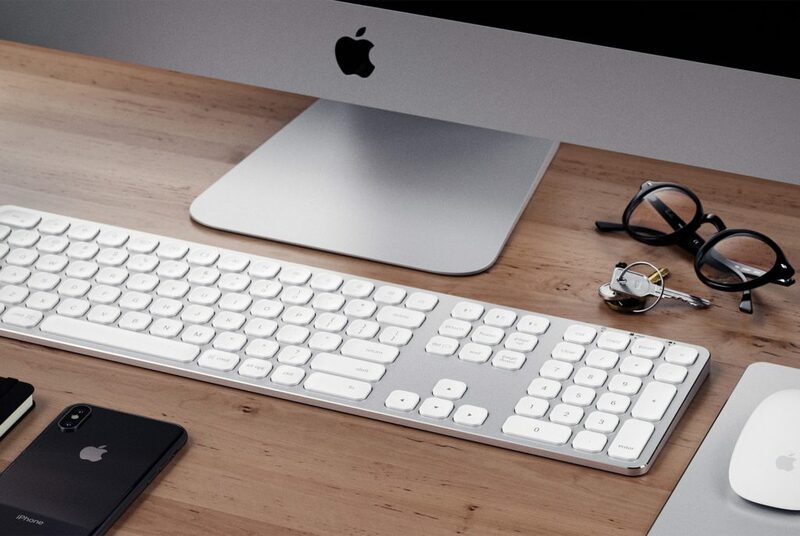 Choose a keyboard that works for you with the Satechi Aluminum iMac Keyboards. 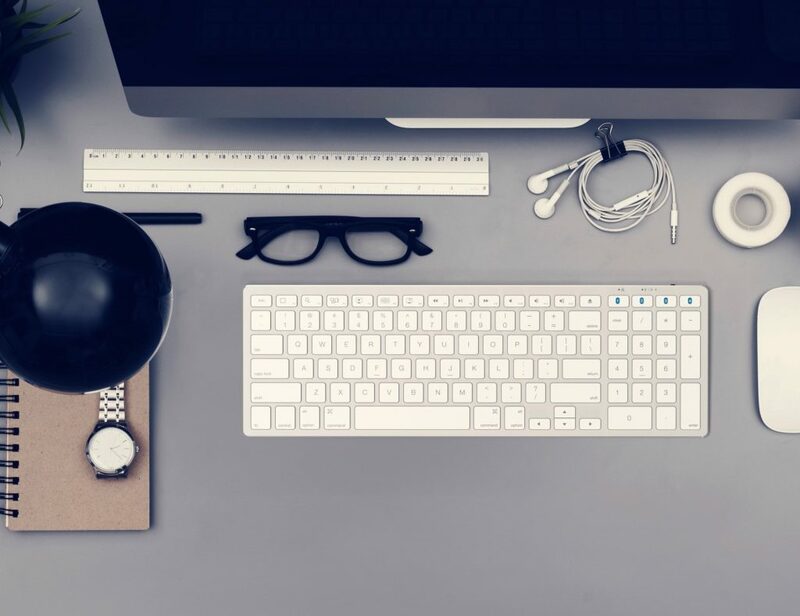 Designed for the iMac and iMac Pro, these keyboards include a wireless and wired version. Both Satechi aluminum keyboards come with enhanced scissor-switch keys. Likewise, they also.. 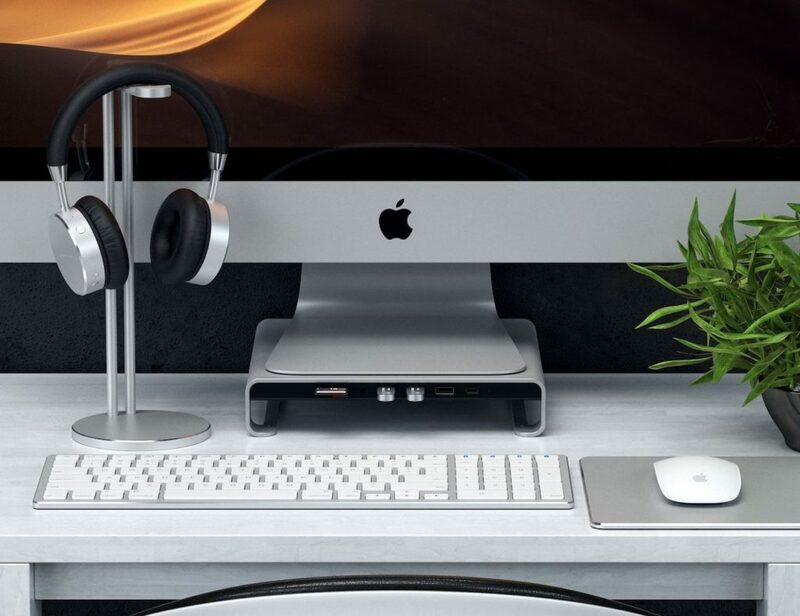 Designed for your iMac, this device elevates and enhances your workspace.